Many cash back cards have similar redemption structures. It’s typical for points to be redeemed for statement credits, travel, and gift cards. The Fidelity® Rewards Visa Signature® Card is different — it breaks the mold of what you’d expect from a rewards credit card. And different is always appreciated. Fidelity® Rewards Visa Signature® Card doles out 2% cash back for every single purchase. 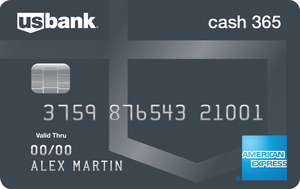 You can make savings automatic with this card by depositing your cash back rewards into an eligible Fidelity® account like a 401K or 529. If ‘different’ is not your thing, don’t tune out yet. There are other redeeming options you’ll enjoy: get two points for every dollar spent which can be applied toward air travel, hotels, car rentals and gift certificates. $100 bonus offer after you spend $1,000 within the first 90 days. Long-term savings are simplified with this card that allows your cash-back rewards to be deposited directly into Fidelity® 401K or other investment accounts. The flat 2 percent rewards earning rate is simple – no categories or caps to keep up with. The card does charge a fee for foreign transactions, but at only 1 percent it's quite a bit lower than the typical 3 percent fee. 2% is one of the highest flat earn rates, but you could earn more in specific categories using other no annual fee cards like Chase Freedom®. Fidelity® gives cardholders two options for redeeming their rewards: automatically deposit them into an eligible Fidelity account as cash, or redeem them through the WorldPoints program for air travel, gift certificates, cash, car rentals or hotel stays. Since there’s no limit on the amount of rewards you can earn, the best way to use this card is for everyday purchases like gas, dining, groceries and monthly household expenses — if you don’t incur an additional fees for say, unpaid balances, you’ll see your points grow quickly. If you make $3,000 in purchases on a monthly basis, for example, you’ll get $60 cash back to deposit into your Fidelity® account. Eligible accounts include a Fidelity® Cash Management Account, a Fidelity-managed 529 account, retirement or brokerage account. Deposit all your rewards into one account or split them among up to five Fidelity® accounts. Once you use your points in a savings account compound interest will continue to grow your rewards. When funds are placed into an eligible investment or 529 college savings account, you’ll get tax-deferred benefits, too. The Fidelity® Rewards Visa Signature® Card has no annual fee, which is always a welcomed feature. Its foreign transaction fee is only 1% — lower than the industry standard of 3% — and the card is chip-enabled so you can use it at a variety of locations abroad without stress. The most obvious drawback of the Fidelity® Rewards Visa Signature® Card is that it doesn’t offer the same level of flexibility as other cash back cards. Your two redemption options are a Fidelity® account or the WorldPoints program, which may not offer the most value for your spending. For example if you need 25,000 points for coach airfare, which has a maximum dollar value of $400, you’d have to spend at least $1,670 a month for the entire year to have enough rewards for a $400 coach ticket. Compare that to the sign-up bonuses other cards offer and you’ll see, Fidelity® cardholders have to put in a lot more effort to get their rewards. Consumers who aren’t fans of delayed gratification might detest the idea of depositing their money into a Fidelity® account. Clearly it’s smart to start saving for retirement as early as possible, however, some consumers like the flexibility of using their cash back rewards whenever and however they choose — rather than waiting until they’re 70 ½ to reap these benefits from points set aside in a retirement account. If you don’t already have an account with Fidelity®, your best option is a cash management account, which has no monthly maintenance fee and doesn’t require a minimum balance. Otherwise, you’re looking at commission and trading fees of $7.95 per trade that will eat into any rewards you get. The Citi® Double Cash Card – 18 month BT offer features 1% cash back when you make a purchase and another 1% cash back as you pay your balance. Neither card has an annual fee, but Citi®’s intro offer of 0 percent APR for 18 months on balance transfers could be a nice perk if you're looking to pay off a large purchase over time. Citi®’s redemption options are more flexible, too. Cardholders can redeem cash back for gift cards, checks or statement credits. If you want cash in your hand — or in your account — the Citi® Double Cash Card – 18 month BT offer is a better option. Both cards have no annual fee, but Chase® Freedom gives 5% cash back (the equivalent of a $150 bonus) on up to $1,500 in gas and local transportation purchases when you sign up. Unlike the 2% cash back Fidelity® offers on every purchase, Chase® Freedom gives 1% cash back on purchases. Both cards offer similar benefits, including no annual fee, purchase and price protection, car rental insurance and zero liability. However, Chase® Freedom lets you redeem rewards through an account statement credit, electronic deposit into your savings or checking account, or for gift cards, travel and merchandise. Want more cash back for the life of your card? Then go with Fidelity®. 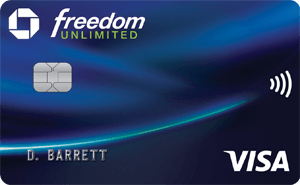 If flexibility is more important, then Chase® Freedom is your card. You understand the importance of reaching financial goals like retirement by 65 or incurring less student debt. You also understand that financial milestones often take time and with patience and strategy you’re setting yourself up for long-term success. If you already have a Fidelity account and are looking for a no-fuss way to add to your investment or retirement savings, you should consider this card.